Nancy Flanagan wrote a blog for Education Week examining a definition for teacher leadership. She included this picture from Twitter which I recall seeing and retweeting. Flanagan connected with the role of great teachers being risk-takers but felt that an administrator stepping into that risk taking role was not very common and that teacher leaders probably didn’t wait for the school leadership to set the stage for the teacher’s risk-taking. I will be using this backward planning model as people examine how teacher leaders can impact student achievement beyond their own classrooms. 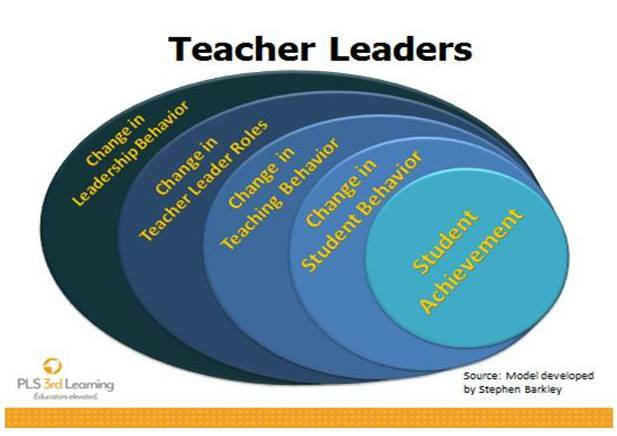 How does the work of the teacher leader influence teacher behaviors that impact student learning behaviors? 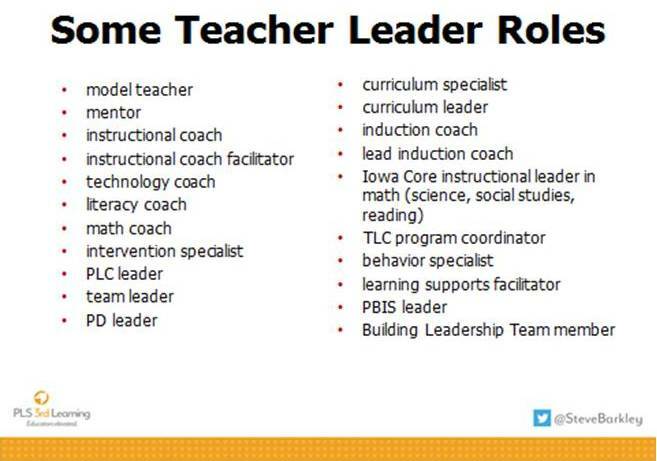 How do building level administrators support the work of teacher leaders? What expectation do principals communicate to staff regarding their work with teacher leaders? 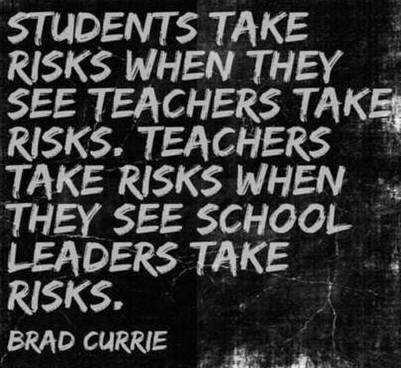 A key expectation that I have for teacher leaders is a willingness to be vulnerable. Leaders go first. They take risk by engaging in actions or behaviors before the safe environment has been created. Their vulnerability creates the climate and trust that encourages others to step forward. The belief that I feel motivates teacher leaders is a commitment to the learning of all students along with the desire to continually develop their own teaching effectiveness. The risk and discomfort of being vulnerable pales in comparison to the desired outcomes of their actions. Your explanation of the specific areas of teacher leader focus was well defined.